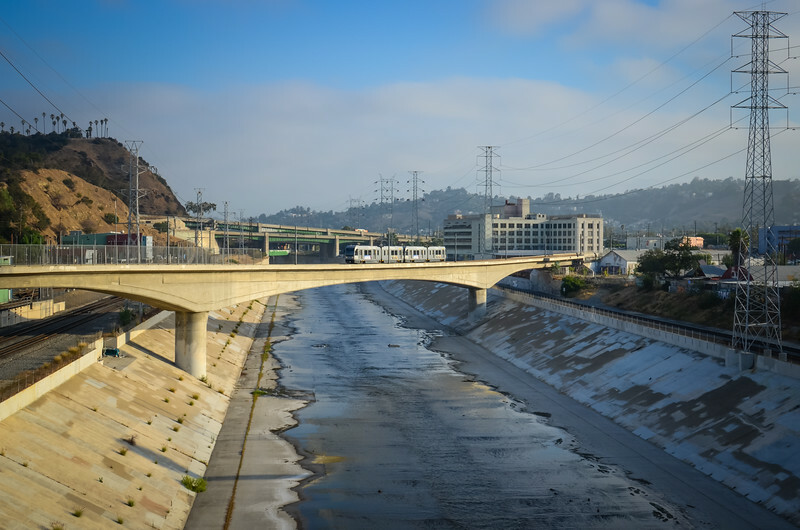 I took this one for work about 7:25 a.m. on Thursday morning -- a little less than 90 minutes after sunrise and pretty much perfect light for this scene of the Gold Line crossing the un-beautiful Los Angeles River. Most of my own photos tend to make me naseuous, but I'm actually digging this one for its composition. I really like the different lines in the photo. What's making me ill this time around is that the photo looks for too digital to my eye -- and I really didn't do much processing. Thoughts, blog readers? Camera & Settings: Nikon D5100, Nikon DX 35mm 1.8 lens, 1/200 shutter speed, f/11, ISO 200. Shot as a jpeg and processed in Lightroom 4. Here's my SmugMug site. Me on Twitter. Blog archives should be on one of the tabs at right but have a habit of vanishing for no known reason (thanks Google!). If not there, here's blog home page and feel free to scroll about.